Attitude-Croisee was designed by sculptor Sterett-Gittings Kelsey in 1999. Grounds For Sculpture is a 42-acre sculpture park and museum located on the former site of the New Jersey State Fairgrounds in Hamilton Township. 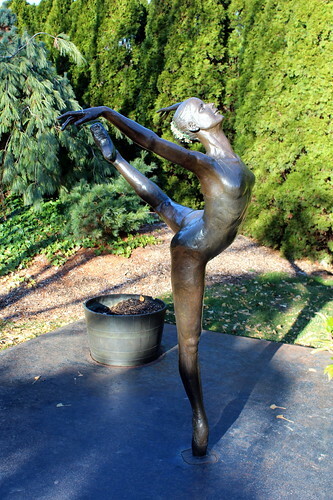 The grounds, which feature over 270 large scale contemporary sculptures, were founded in 1992 by John Seward Johnson II.